Turns out a Raspberry Pi is nothing less than the cheap Linux based and tiny form factor (almost credit card size, although not in height mind you!) computer we’ve been hearing about on a on and off basis the last couple of years. Turns out this nifty little computer is very much alive and well, in fact it went into production last year and has received overwhelming support and sales. What is best about the Pi is: it’s almost unbelievable cheap! Never before did I buy a new computer for 35 Euro. Okay, admitted, that will “only” buy you the circuit board with the chips on it and stuff, but in reality that’s all you really need. Power is supplied by a standard phone charger with micro USB connector, a normal SD card is used for storage, and there’s HDMI, USB and Ethernet. A large selection of casings are also sold separately if you think you need one (I do). I ordered mine, a Model B with 512MB memory and Ethernet, immediately. It was delivered within 48 hours. Unpacking it, I guess I fell in love with it on first sight, even before I had plugged it in. These last couple of days, over the weekend, I have played with it, reinstalled it several times as I went, and discovered the future of cheap (but in no means restrictive) computing. Without any doubt it was (and still is) the best computing fun I have had in many years! My Pi! The top half of the casing removed (just because I like to look at it now and then, silly me) with power, Ethernet and a USB memory stick connected. No monitor, keyboard or mouse are connected here because I run my Pi mostly headless (meaning: remotely via SSH and/or RDP). The size of the cables gives an idea of how small the Pi really is! I’m now waiting for the Mode-S stuff I was talking about at the beginning, which is being shipped from China and should (I have high hopes…) arrive in a couple of weeks. Once it has arrived I can check if the remote USB idea for which I got interested in the Pi in the first place, actually will work. If is does, then eventually this Pi will be permanently mounted high up the attic wall as a dedicated remote USB hub. By the way, this setup turns out to have an additional advantage: I would like to run the Mode-S software on a virtual machine on a Hyper-V host, but Hyper-V does not support USB… Well it does in this setup. How neat is that?! Terminal session with SSH. The Linux distro most used is Raspbian, a derivate of Debian. There is also a graphic interface if you wish. I’m a Windows man, but have worked with Linux in the past. Nevertheless, I had to re-read and -learn some basic Linux stuff all over again it seemed, but I guess that was/is all part of the fun. For people like me, new to the Raspberry Pi and looking for a one-stop place for showing how to do the initial setup and such, I will try to show you how I did my setup without having to roam the internet to find the pieces of puzzle from everywhere and nowhere. It won’t be a complete tutorial, and it will require some computer prowess, but it will hopefully save others the mild frustration I experienced at the start. Till then! Previous PostPrevious The Return Of 4DOS ! 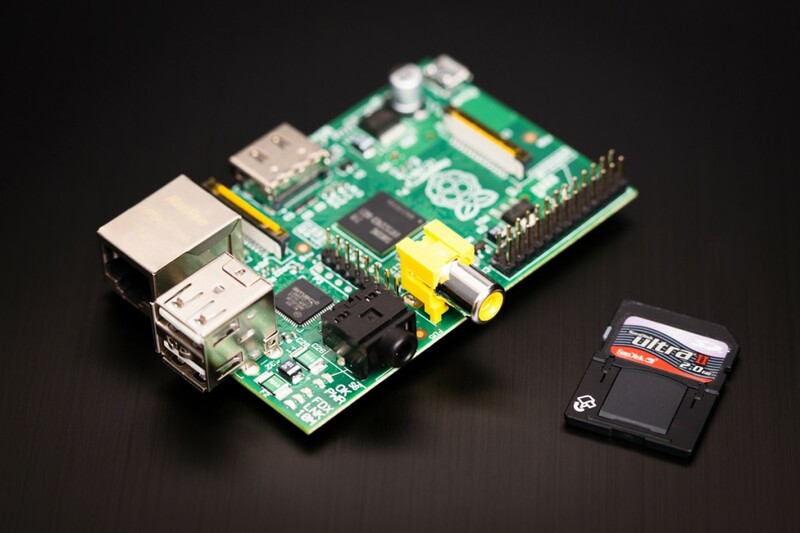 Next PostNext Raspberry Pi: getting started!